Don't let a Probate Court decide who gets what family assets! 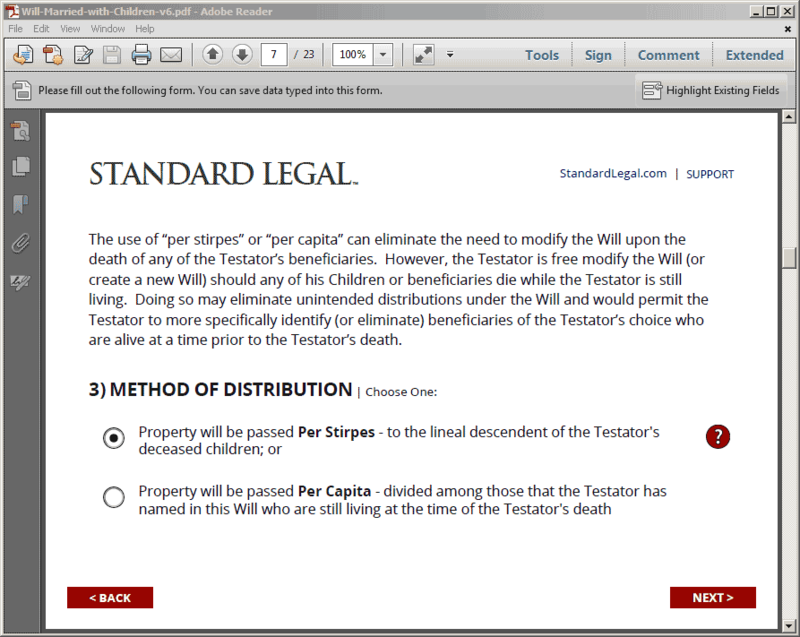 Standard Legal's Last Will & Testament ensures that YOU decide the distribution of your estate. 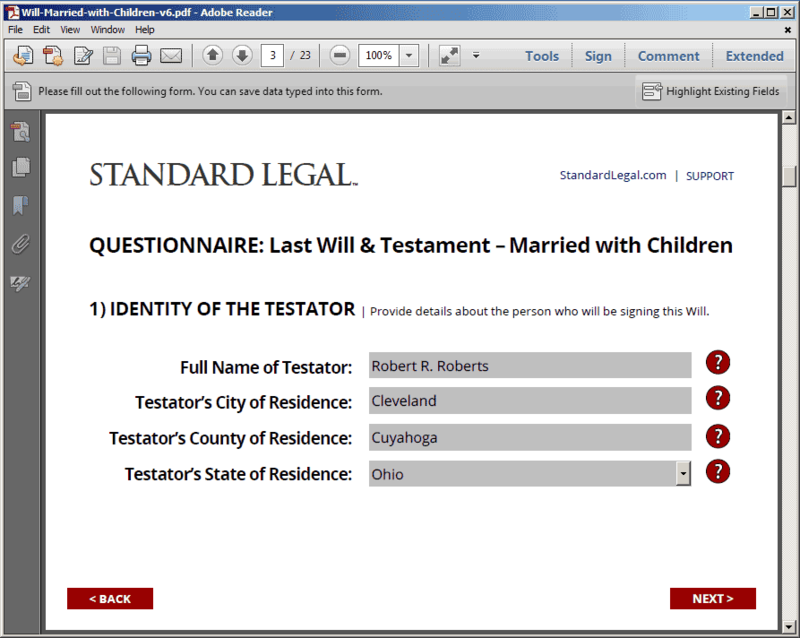 Answer some simple questions and this easy-to-use software automatically drafts a customized Will document. Match your personal family situation with the laws of your state. Speed the passing of your property to your loved ones. 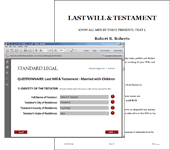 Get the Last Will you need for your family in minutes, all at a fraction of an attorney's price! 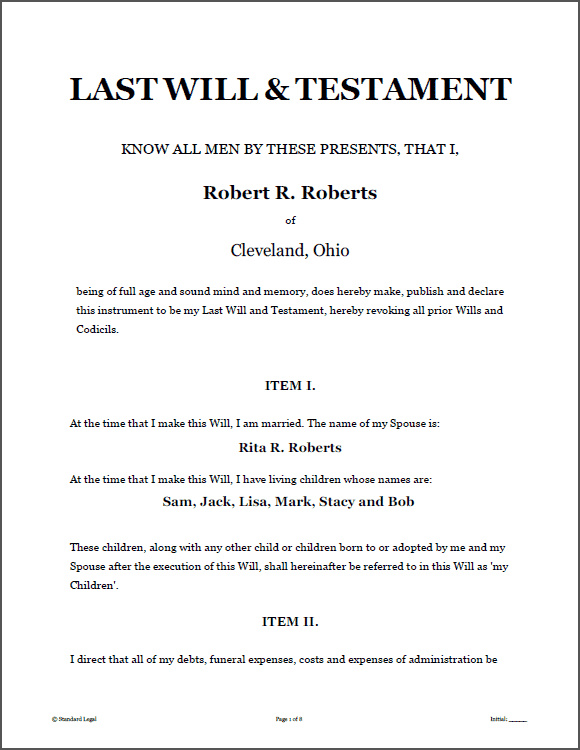 A Last Will & Testament is one of the most important legal documents a person can create during his or her lifetime: it determines who receives the assets of that person upon death. While the common laws of most states are set up to provide the assets of an estate first to the surviving spouse and then to any children of that person if the spouse is no longer living, this hierarchy of distribution is not always guaranteed. Spending just a few minutes today to create a legal Will is simply smart estate planning: a Last Will and Testament will guarantee that your family receives the assets of your estate when the time comes. Why let the vagaries of state laws or the decision of a Probate Court Judge affect the finances or your family or friends after you die? 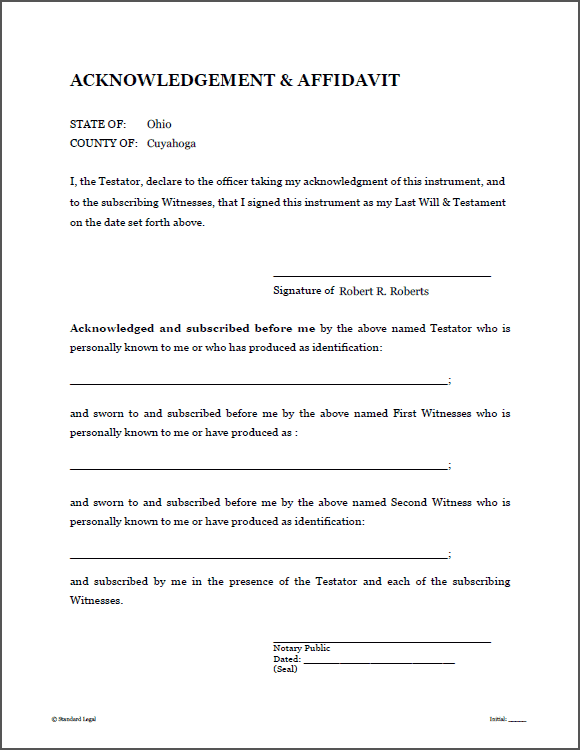 Creating a legal Last Will and Testament document allows the Testator (the person whose assets will be distributed) to specify exactly who is to receive what property from your estate. More importantly, creating a Will shortens the Probate process exponentially, proving the authenticity of the Will by the signature of the Witnesses and Notary, and clearly stating the distribution of assets to speed the transfer of the estate to the designated survivors. 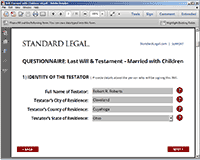 IMPORTANT NOTE: a single purchase of this software allows a Married Couple to create a Will document for each spouse. 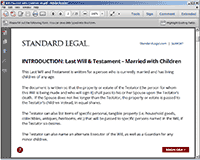 Learn more about 'Husband and Wife Wills' in this Standard Legal Law Library post. 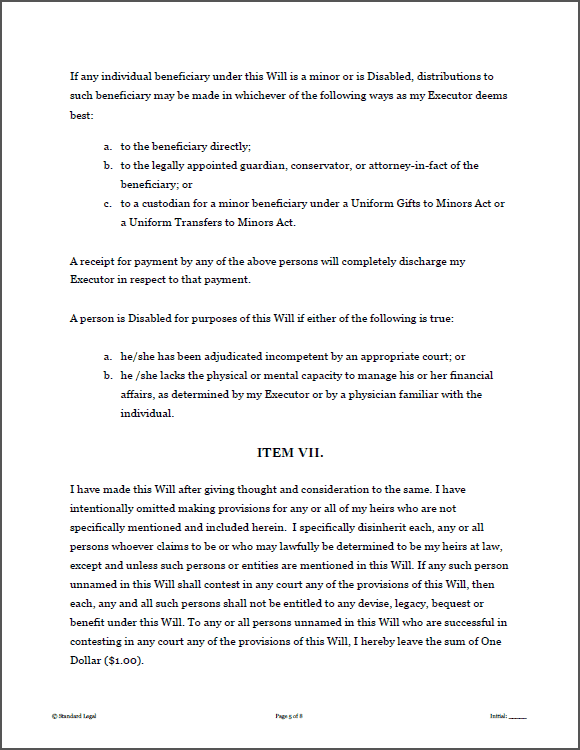 - WILL WITH SPECIFIC GIFTING PROVISIONS: This document allows the Testator to designate certain assets to certain beneficiaries; it is a common format for a single person without children to create a Will. While specific gifting is never required (and the most common Will types provide for general distributions of assets instead of specific gifting), this document option exists to create a Will with named persons matched with highly-specific asset gifting clauses. - WILL REQUIRING AN ASSET SALE FOR CASH DISTRIBUTION: A Will Directing the Sale of Assets and Payment of Proceeds to Beneficiaries is also included. This Will provides that all real and personal property of the decedant be sold after his or her death and the money generated by the sale of such property be distributed to the persons named by the Testator to his or her beneficiaries. This Will allows either a specific dollar amount to be passed to each beneficiary or a percentage of the total proceeds after the sale of the property. SELF-AUTHENTICATING: Each Standard Legal Last Will is set up to be "self-authenticating", which means that finding and using the services of a Notary is not required in nearly all states! 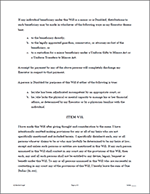 Every Will form includes both a detailed witness verification provision (i.e. 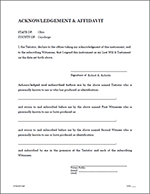 self-authorizing) and the standard Notary's Acknowledgement form. Thus, the validity of your Will is doubly-covered! 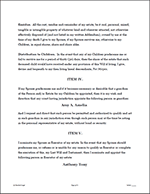 DESIGNATION OF A GUARDIAN FOR CHILDREN: Persons with young children often wish to designate a guardian for those children should the unexpected ever occur. 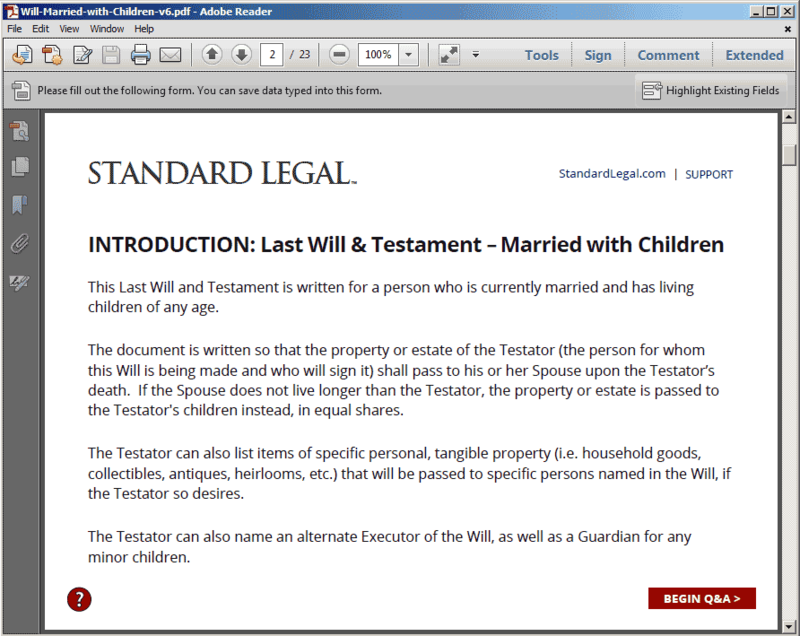 Standard Legal's Last Will and Testament documents for persons 'with Children' have language within each document that allows for the naming of a Guardian and Alternate Guardian for minor children after death, to directly address this desire. ADDENDUM FOR THE GIFTING OF PERSONAL PROPERTY: If the Testator wishes to make gifts of personal property, keepsakes, heirlooms or mementos to specifically-named individuals, this Addendum document should be used to name these beneficiary and distribute these assets. This Addendum allows the designation of as many distributions as desired! DISPOSITION OF BODILY REMAINS DOCUMENT: Standard Legal also includes two different Notice of Final Disposition documents, one for burial and one for cremation. This document allows you to describe your wishes as they pertain to funeral arrangements and the disposition of your bodily remains. Using this document permits you to declare your desires while you are alive for specific funeral arrangements after death. This document should be provided to your loved ones now, relieving them of having to make these choices during a difficult time. If there is no Final Disposition document prepared in advance, the law in the state where you die generally determines who will decide how the remains are handled. This document allows you to make your wishes known in advance! ASSETS AND ACCOUNTS LIST: Finally, an Assets and Accounts List form is included, allowing you to list the location of all of your bank accounts, insurance policies, safety deposit boxes, stocks and bonds, and other liquid assets, so your family and/or Executor has a complete record of where your assets can be found. Use this form to make sure ALL of your assets are made available to your beneficiaries! A Will document protects the structure and relationships within your family by making your wishes clearly known to all. Why not spend a few minutes and a very small amount of money to create the Will papers that are so important to your family's future? 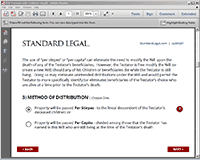 Take advantage of the ease of use and completeness of product that Standard Legal can provide. Get the peace of mind that solidifying your Will can bring. 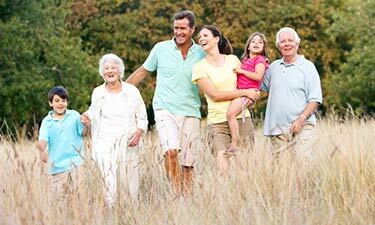 Create a comprehensive Last Will and Testament for your family today! 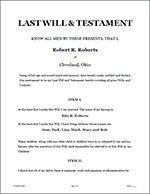 Have a Last Will question?